A new and fun series that will get your choir bailando! The rhythm of the music of these hit songs by top Latin arts is infectious and will get boih the singers and the audiences swaying. Great additions to any choirs repertoire! 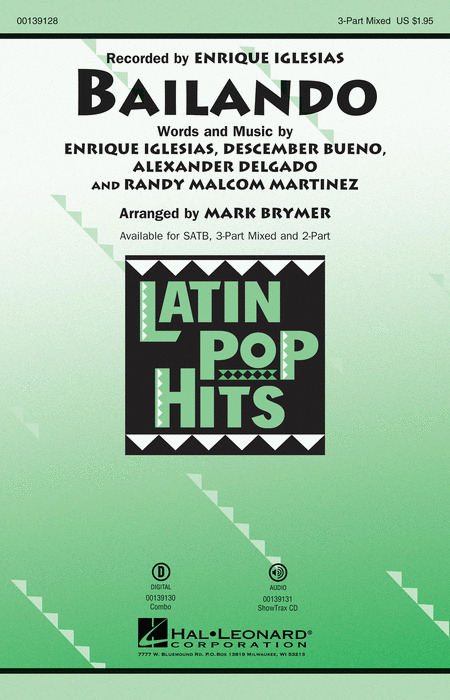 Review: "Bailamos" - Let the rhythm take you over...Bailamos! Enrique Iglesias #1 hit from 1999 sizzles with Latin fire in this setting that will totally energize your concert. A fantastic feature for pop and show choirs! 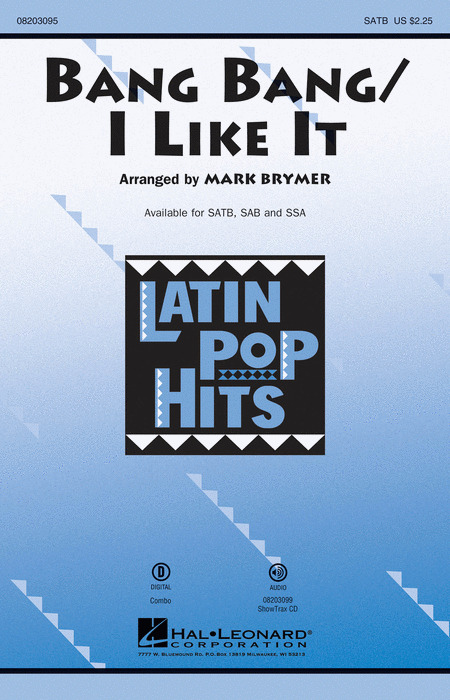 "Baila Esta Cumbia" - This was a top hit for Selena and your choirs will feel they've reached the top when performing this fun arrangement. "Bailando" - Enrique Iglesias inspires his fans all over the globe with this mega-hit dance song! A fantastic feature for pop and show groups, the irresistible hook and bilingual lyrics will unite your school or community in an enthusiastic expression of joy. "Vida" - It's a celebration! The supersong from the 2014 World Cup by Ricky Martin is a bilingual extravaganza that will energize your stage with dance and color and life! Let the rhythm take you over...Bailamos! Enrique Iglesias #1 hit from 1999 sizzles with Latin fire in this setting that will totally energize your concert. A fantastic feature for pop and show choirs! Available separately: SATB, SAB, SSA, ShowTrax CD. Combo parts (tpt 1-2, tsx, tbn, gtr, b, dm) available as a digital download. Duration: ca. 3:15. Encompassing the thrill and spirit of the 2014 World Cup, Enrique Iglesias inspires his fans all over the globe with this mega-hit dance song! A fantastic feature for pop and show groups, the irresistible hook and bilingual lyrics will unite your school or community in an enthusiastic expression of joy. Encompassing the thrill and spirit of the 2014 World Cup, Enrique Iglesias inspires his fans all over the globe with this mega-hit dance song! A fantastic feature for pop and show groups, the irresistible hook and bilingual lyrics will unite your school or community in an enthusiastic expression of joy. Duration ca. 2:45. 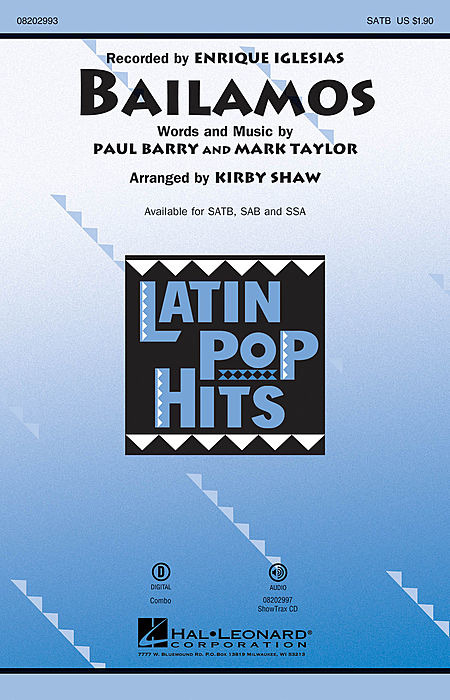 Two Latin hits are paired in a winning combination that will turn your stage into a non-stop party! Colorful and filled with rhythmic verve, your show choir will have a blast! Available separately: SATB, SAB, SSA, ShowTrax CD. Combo parts (tpt 1-2, tsx, tbn, bsx, gtr, b, dm) available as a digital download. Duration: ca. 2:45. What do you get if you combine the Pink Panther theme with a hot Latin beat? 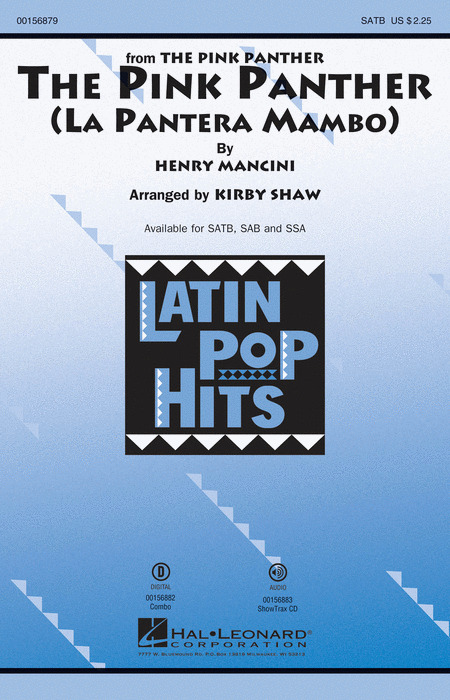 La Pantera Mambo! 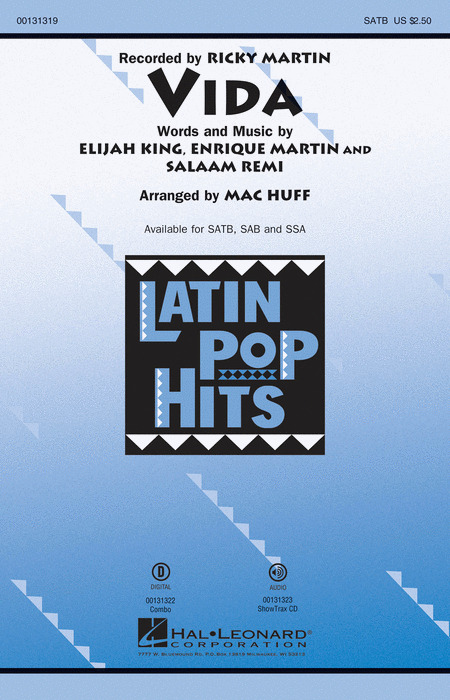 Vocal jazz choirs, pop choirs, all choirs will love to perform this sizzling salsa setting! A fabulous hook for a concert! It's a celebration! The supersong from the 2014 World Cup by Ricky Martin is a bilingual extravaganza that will energize your stage with dance and color and life. It's a celebration! The supersong from the 2014 World Cup by Ricky Martin is a bilingual extravaganza that will energize your stage with dance and color and life!